This photo, filled with elegant and rich hues of blue and cream, inspired us to look for more products in our showroom that evoke the feeling of calm beauty and rich design. 2) This Millikan carpet reminded us of the blue drapes in the main photo. The broadloom carpet, available at Schroeder, is a 100% nylon tufted, pinpoint saxony. It has a Lifetime Soil and Stain warranty from Stainmaster . This beautiful carpet is prefect for any home including ones with small children and pets! This pattern would be fun in a master bedroom, a living room or even a dining room. 4) The Rosecore light blue woven wilton brings a little bling into your home.This flat weave is made of wool and polyester and comes 15 feet wide, which means it can be installed wall-to-wall or made into a custom area rug. The polyester weave gives the carpet a little bling and allows for the carpet to be easily cleaned and cared for. 5) This photo does not give justice to the rich look and feel of the New Franco Belge linen flat weave seen above in color netural. This elegant flat weave give off a pearl-lustre look that is just too beautiful. We recommend that it be made into a custom are rug for your house or office. Because of the delicate nature of linen, it does require special care. J.D. 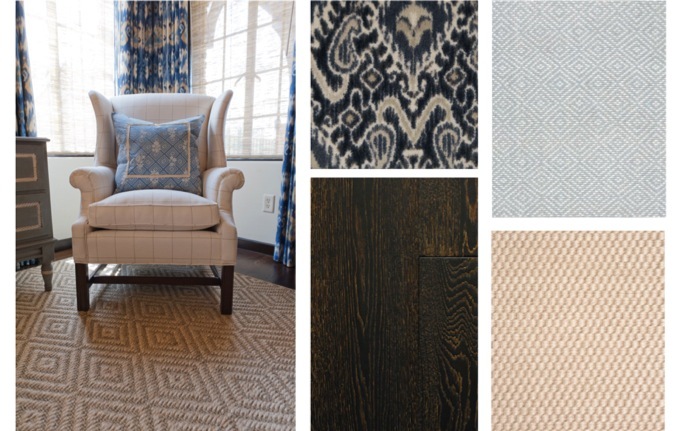 Staron’s Harcourt Collection has a new and beautiful set of flat weaves perfect for any room in the house. The neutral colors in Harcourt’s Mattise, Belize and Saroyan collection offers a variety of soft hues that create a calming atmosphere. Mattise is a ribbed flat weave and 100% New Zealand Wool. It is 15′ wide and comes in 5 colors. Belize is a flat weave and 100% linen. It is 15′ wide and comes in 6 colors. Saroyan is a flat weave and 100% wool. It is 15′ wide and comes in 5 colors. Schroeder is located near downtown Austin on South Lamar. We offer a variety of carpet brands including Tuftex, Fabrica, Kane, STARK, Helios and more. We accept walk-ins and appointments, but we highly suggest that you make an appointment with us so that we can give you 100% of our attention as we find the product(s) that best suits your needs. 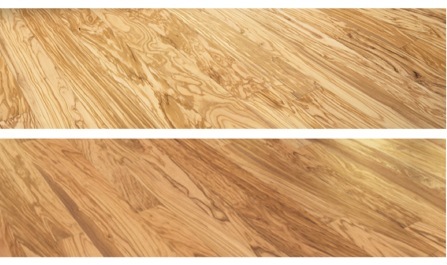 Schroeder is excited to now carry Tuscany Olive Wood Flooring in our showroom. Olive wood is said to be one of the hardest woods. Because olive trees grow slowly, the wood is tightly grained and very dense. This makes for a hardwood that is more resistant to scratches and moisture. To read more about Tuscany Olive Wood, please check out their website at: http://www.tuscanyolivewood.com/. The wood comes with a smooth finish and a 4-sided micro-bevel for added dimension in your choice of three plank widths – three inch for a more traditional look, and four and five inch for added elegance. Tuscany Olive Wood is a beautiful hardwood that captures the natural elegance of Tuscany. This luxury product comes in two standard colors: Tuscany Sun (top) and Siena (bottom). However, this hardwood does come in other colors. Schroeder is located near downtown Austin on South Lamar Boulevard. We offer a variety of hardwood products including Du Chateau, Navarre, IndusParquet, Mirage, Provenza Floors and much, much more. We are open Monday through Friday from 9:00 a.m. until 5:30 p.m. We accept walk-ins though we do suggest that you make an appointment so that we can take the necessary time to find the products that suit your needs.